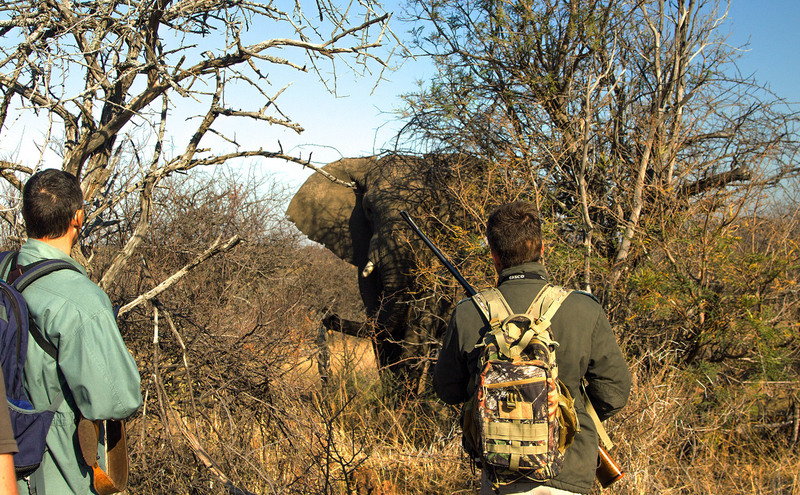 One of the best 'moments' at Mongena Private Game Lodge is exploring the African bush on foot with a qualified Game Ranger! The adventurous guest experiences the sights, sounds and smells of the diverse African bush & wildlife, including animals, birds and plants which are often missed on a game drive. Enjoy an early morning or late afternoon two or four hour guided bush walk. Maximum of 8 guests per group. Times as per arrangement. 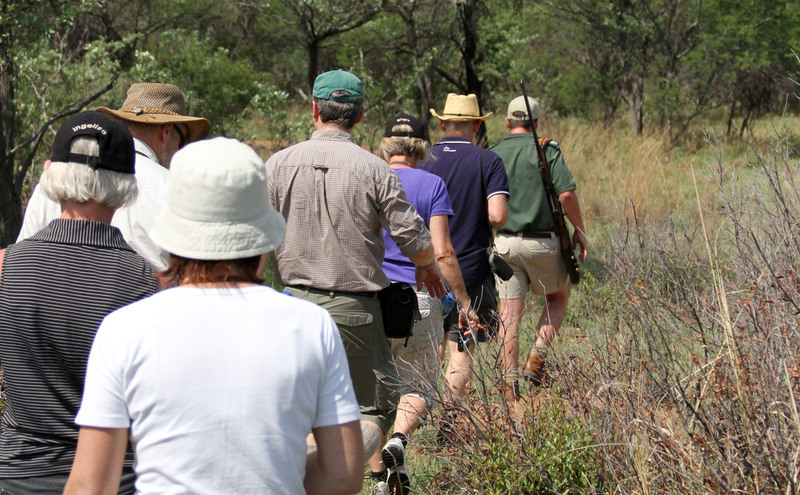 Appropriate bush clothing, sun protection, hat, binoculars, cameras and comfortable walking shoes are essential. Click here to view the Activity Rate Sheet. No own drinks or food allowed; 1 drink per person is included on game drives and sunset cruise from a standard cooler box consisting of selection of beers, house wine, ciders, waters and soft drinks. Additional drinks consumed will be charged as per current beverage and wine list. Specific drinks requirements like spirits, mixers and special wine selection can be pre-ordered and will be charged additionally. Coffee/tea, hot chocolate is offered additionally on morning/evening drive and water on bush walks. *Snacks on game drive and sunset cruise include chips, nuts, biltong/dry wors and rusks on early morning. 100 % cancellation fee will be charged for booked game drives, sunset cruises, bush walks cancelled within 2 hours of start time of activity. Refunds for game drives, sunset cruises and bush walks in the form of gift vouchers will only be allowed due to weather condition change after start of activity and are subject to Operation Manager's discretion.